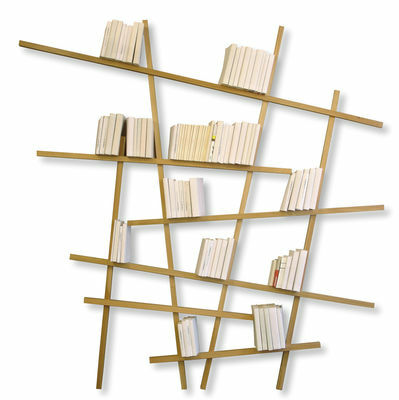 Very graphic, this large bookshelf (H 220 cm X larg. 215 cm) directs your books and CD in an original way. Mikado is composed of ten rods of square section of 3 cm: six placed at the horizontal and four placed at the vertical. 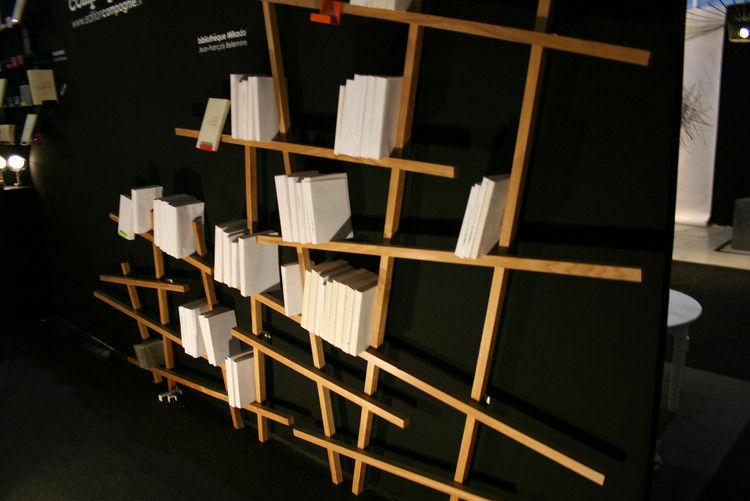 This bookshelf evokes the game of the Mikado and is born idea to assemble hypothetical wooden rods together. Mikado's light and minimalist structure is also very robust. This large bookshelf is made in solid oak, a wood coming from French durably managed forests. The weight of the books being important, the installation on the ground of Mikado is recommended. You can associate this model with a smaller one also available on our site. 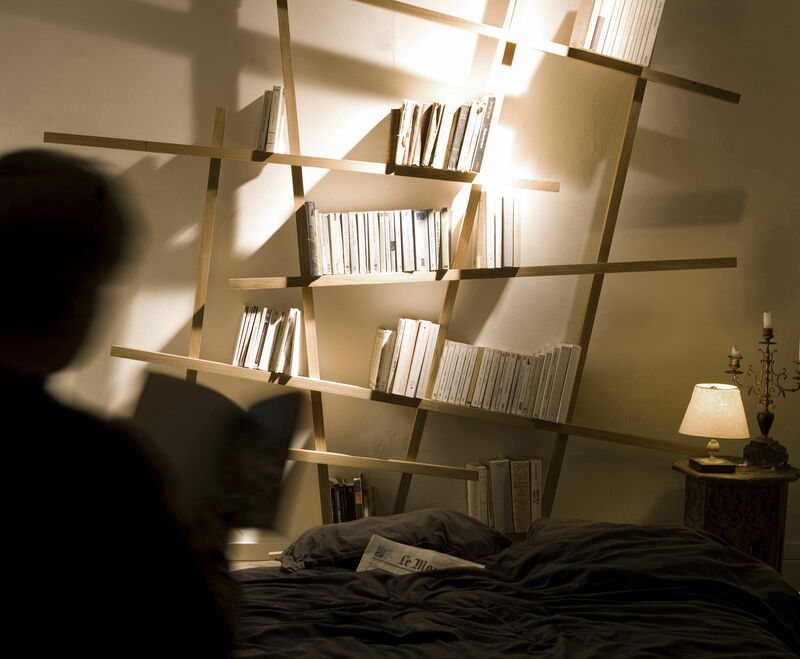 N.B : This bookshelf is not suitable for soft books and magazines.